Discipline: training that corrects, molds, or perfects the mental faculties or moral character. -Merriam Webster Dictionary Definition. I began pole dancing in July of 2008. I was a member of a twenty-one an older singles group, High Life Adventures. The group participated in events all over the city. Members would sign up for events online and then show up not knowing who else was participating in the event and therefore be able to meet other single men and women while experiencing a fun new adventure. I met one of my bridesmaids at a High Life event. It was a time in my life when I was enjoying being independent and single. A time when I was in search of who I was and wanted to become all while having fun. In July of 2008, High Life began offering pole dancing classes. I immediately tried to sign up for one of the classes and was placed on a wait list due to the high demand. As it got closer to the date of the class, I was notified that I would be able to attend the event as there was an opening. I confirmed my intent to attend and that is where my story in the world of pole began. I left my first class knowing that I was hooked. The instructor had given me a card for a dance pole I could order and put up in my own home. I utilized the internet to the best of my capabilities and discovered a whole world unbeknownst to me. I ordered my pole the next day and that following week I was spinning around my very own pole in my single girl studio apartment. I learned everything I could from the internet. As pole dancing began to evolve in the United States, more opportunities were presented to me. I attended studios, workshops, classes, and eventually I began to teach. For the first time in my life, I'd taken a path for a healthier me. Pole dancing was the first time I'd ever enjoyed working out. At the time of my new found fitness regimen, I was experiencing my own personal battle with my health. I'd recently gone through the ending of a toxic relationship which brought about unhealthy habits. I started smoking in the midst of a dark time in my life and found myself carrying this habit into my new life I'd established for myself. To add insult to injury, a close family member had suddenly passed away. Growing up in a home of a smoker then dating men who also smoked, I coped with my grief in the only way I knew how. I smoked. I smoked so much that four months into my addiction I was admitted into the hospital for respiratory distress. I was diagnosed with severe asthma and poor lung function. After my release from the hospital, I began outpatient treatments through the lung clinic. I was placed on several medications and throughout my course of treatment I routinely attended the clinic for pulmonary function tests to document my lung improvement. My doctor had also recommended routine exercise to help with improving the function of my damaged lungs. This was also the time I had attended my first pole class. So taking my doctors advice, I went full on and indulged into the world of pole dancing. Quitting a habit that had the type of hold over me that smoking did was not easy. I had to experience another breakup within a short amount of time. I'd replaced the lost relationship with a man with a new relationship with my cigarettes. As if the previous relationship wasn't toxic enough, I had created a new relationship with a pack of cigarettes that would prove to be the ultimate toxic relationship that would affect more than my emotions. It is true when they say, if we don't have our health, we have nothing. I felt as though I had spiraled into an uncontrollable period of nothing. I had no one to blame but myself. And that self was not going to give up without a fight. I wanted to breath again without struggling. It was time to get to work. Pole dancing helped me at this time to battle the cravings, ups and downs of the steroid induced roller coaster my body was going through, and to teach me a strong lesson in life- self discipline. Three months after my diagnosis, I was weaned off my daily medications. I was progressing with my pulmonary function tests. My lungs were healing and my energy levels were increasing. I was embarking on a path I'd tried so many times to travel. I was on the road to recovery with exercise. Three and a half years later, I am in the best shape of my life. I have eliminated unnecessary toxins from my life in my diet, social interactions, and every day activities. Laziness has become a pet peeve of mine and I will often opt for the alternative that requires an activity that will prove to be beneficial to my overall health. I have learned a discipline in my life that has shaped who I've become. I'm still traveling that road to a healthier me all while embracing pole dancing and everything this journey has introduced into my life. Pole dancing has done more than just create a body I've always wanted, it has given me a healthy mind and soul. A creative outlet to express myself spiritually. 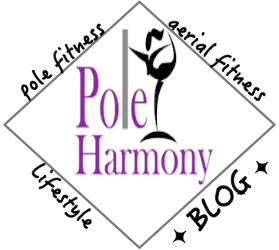 Pole dancing has become the discipline in my life that has shaped me into who I am for a healthier me as I begin to lay down the foundation to a future healthy family.